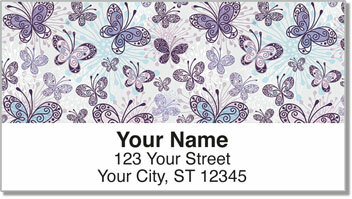 Butterfly Scroll Address Labels from CheckAdvantage make it quick and convenient for you to include your return address on packages and envelopes. You'll get the job done much faster than you could by scribbling your address in longhand, that's for sure! 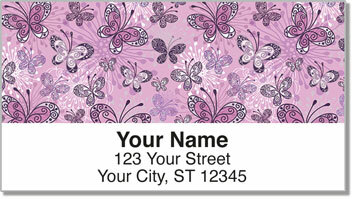 You can even use these handy labels to identify items as personal property belonging to you. Set against gradient backgrounds of muted color and shanked on the left by intricate scrollwork, the winged beauties that flit about this design virtually float in mid-air. 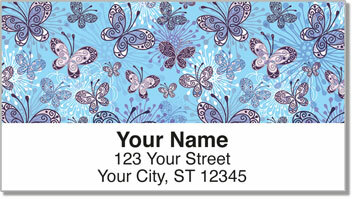 Order your very own Butterfly Scroll Address Labels today! 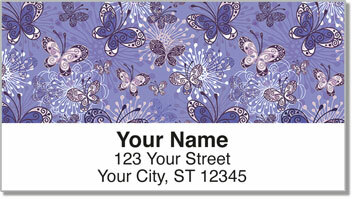 This unique design is also available in a set of matching personal checks.